“ICC halts release of former Ivorian leader Laurent Gbagbo”; “Laurent Gbagbo detained again after last-minute appeal” are the latest headlines on this week's bombshell African news item. According to a report by AFP seen online, the “former president remains in ICC custody after acquittal on charges of crimes against humanity." 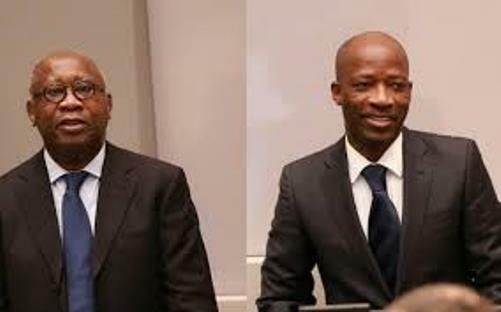 The news wire item, carried online by The Guardian and France 24, recalled that trial judges of the International Criminal Court (ICC) at The Hague had Tuesday ordered the "immediate release" of former Ivorian leader Laurent Gbagbo and Charles Ble Goude. Ble Goude was the youth leader who stood by Gbagbo during the 2010-2011 post-election crisis in Cote d'Ivoire when as many as 3000 people were reportedly killed. “But prosecutors filed a last-ditch challenge late Wednesday to keep the pair behind bars while the ICC looks at an overall appeal against Tuesday's decision to acquit them. "Pending the decision of the appeals chamber on this prosecutor's request... Mr Gbagbo and Mr Ble Goude shall remain in ICC custody," an ICC spokesman said.